This spicy grilled shrimp recipe is an easy, but impressive, seafood dish. A few hours in the spicy marinade, and these shrimp are ready for the fire. 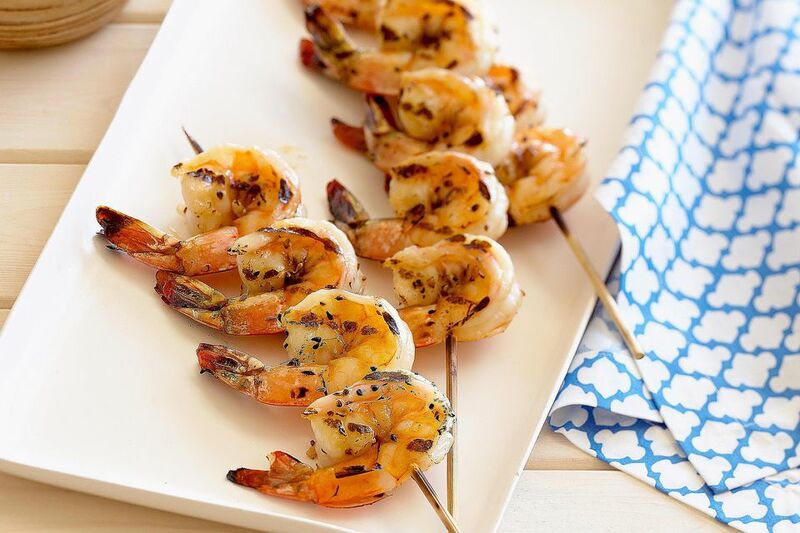 The recipe calls for shell-on shrimp for extra flavor, but these grilled shrimp can be done with peeled ones as well. In a mixing bowl, whisk together the olive oil, hot sauce, parsley, garlic, lemon juice, ketchup, cayenne, salt, and black pepper. Place the shrimp in a large zip-top plastic bag, and pour in the marinade. Seal and refrigerate for 2 hours.Remove shrimp and drain the marinade. Skewer the shrimp on the bamboo skewers. Grill shrimp for about 3 minutes per side, or until cooked.